I have always been a fan of beauty products that are all natural, affordable, and animal friendly. Products that state that they don't test on animals, are a major plus to me. So when I came across the company Perfectly Posh, I couldn't wait to give them a try. Not only was I excited about them being natural, animal friendly, but they're also paraben-free, paraffin-free, as well as free of sulfates including SLS. They have no gluten, lanolin, or soy ingredients, and use the highest-quality essential oils and fine phthalate-free fragrances. They use natural enzymes and gently moisturizing vitamin E to preserve the life and look of their fun pampering products! I love all the fun names that they have for products... and the overall look is fun, trendy, and girly. There's a little something for everyone in the family, and they offer plenty of items that would make for excellent gifts or stocking stuffers. With the holiday season upon us, they even carry a special line called Lil' Gifters. Each product in this line comes in the quantity of three, which make them perfect for multiple gifting. They offer: Candy Bath Sparkling Pampering Holiday Treats, Snowy Marshmallow Satin Cocoa Butter, Candy Cane Fix Sugar Scrub, Sweet Cinnamon Shower Gelee. Each item smells yummy enough that you want to eat it... which will leave your skin inviting. With the cold season here, you may also want to take advantage of their Pamper Your Cold products. 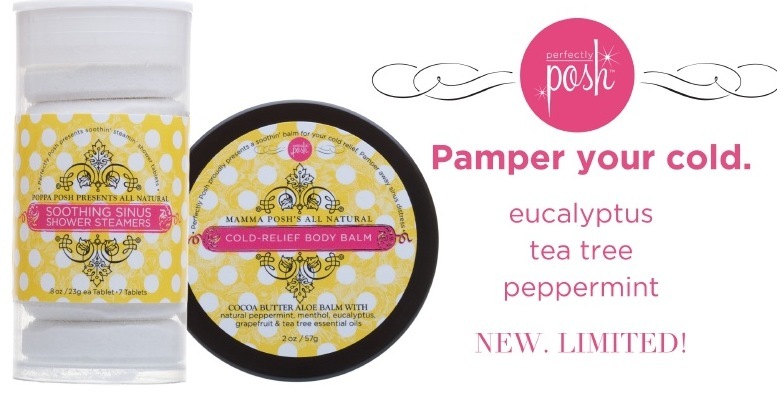 Its a line of products that help "pamper your cold", which includes shower steamers as well as a soothing body balm. I like natural products when it comes to making you feel better. I'm already on enough medication, that I prefer to not have to take cold medications. I LOVE the shower steamers... which actually help open up your sinuses. These are something that everyone should have on hand for when they get sick, or even if you suffer from terrible seasonal allergies. I was sent both the Lil' Gifters as well as the Pamper Your Cold items for review. I'm super happy with everything, that I'm actually considering joining the team. Yes... you can actually become a consultant! 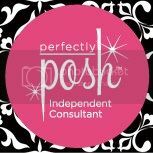 Interested in getting your own Perfectly Posh items? Of course you are! Click here to visit and grab your items today! 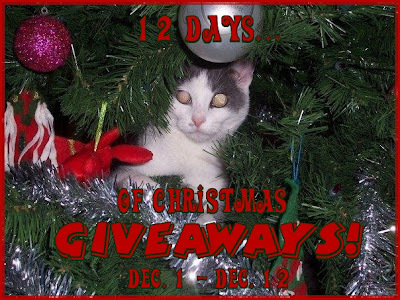 Interested in visiting their Facebook group and Twitter pages? Of course you are... you never know when you could save and get a deal! Thanks to Perfectly Posh one lucky reader has a chance to win a Perfectly Posh Lil' Gifters Set and Pamper Your Cold Set. To qualify you must be 18+, and be a resident of US/CA. Everybody needs some TLC. I would give to my mom.